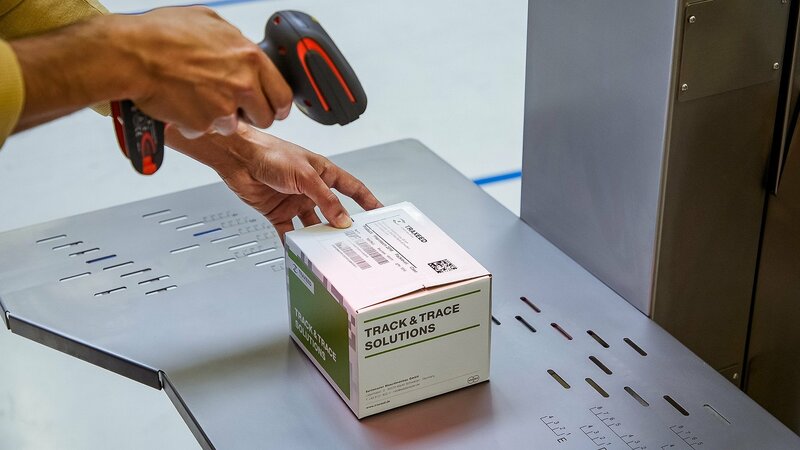 Every medication package is becoming traceable — thanks to clever serialization solutions. A serialization expert: Florian Kofler, Head of Marketing at Traxeed. Counterfeit medications not only endanger patients but also cause billions of euros worth of costs for the manufacturers, who then lack the money they need to invest in innovative drugs. That’s why it’s especially important to produce and sell medications by means of methods that are absolutely safe and in compliance with regulations. To achieve this goal, companies need flexible solutions that clearly identify medications and thus protect them from counterfeiting. One possible approach is serialization — providing each package with an individual serial number that can be used to identify it. An equally important approach involves using Track & Trace solutions to ensure the traceability of medications. 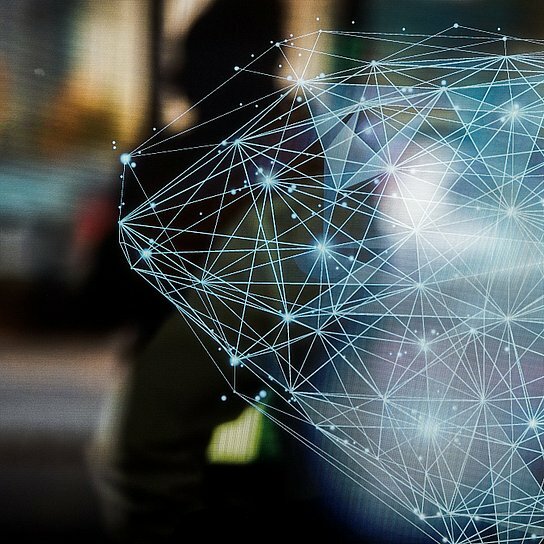 These solutions make it possible to seamlessly track and centrally record all the stages of the medication’s production and transportation in the same way that a package or letter is tracked through the postal system. We offer solutions from a single source that are flexible and can be integrated into the levels and modules that already exist. Companies that manufacture sensitive products need a partner they can rely on. Since June 2018, Traxeed has been combining the serialization expertise of the Seidenader and Systec & Services companies of the Körber Business Area Pharma Systems. As a result, customers benefit from the two companies’ many years of expertise and decades of experience with Track & Trace solutions. Seidenader contributes its comprehensive know-how regarding Track & Trace and aggregation machines, as well as the necessary software for Levels 1 to 3. Systec & Services contributes its knowledge regarding the implementation of Levels 3 to 5. “We offer solutions from a single source that are flexible and can be integrated into the production elements that already exist, such as machines, IT solutions, and packaging,” explains Florian Kofler, Head of Marketing at Traxeed. As a result, producers don’t have to reorganize their entire production process if they want to implement the appropriate solution. Employees in front of the Traxeed CaseUnit-Top Layer: This system combines the online coding, serialization, and verification of folding cartons. 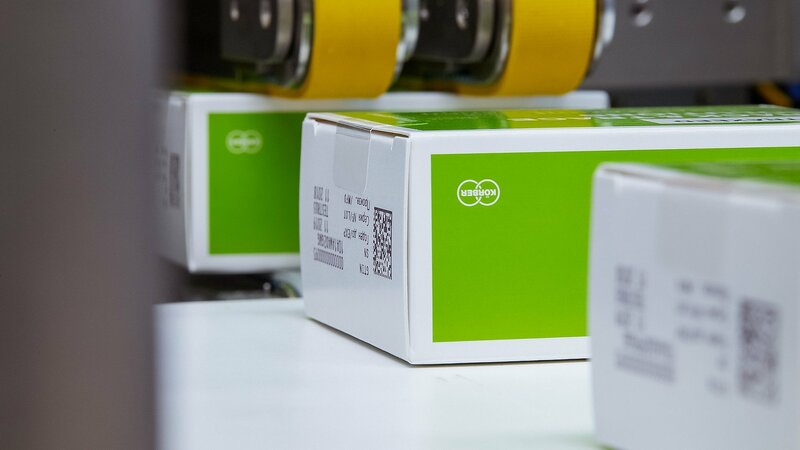 Printing labels: Aggregation makes it possible to combine units and thus simplify the processes in the entire supply chain. A code scanner in use: Track & Trace solutions make it possible to check the authenticity of medications at any time. Inimitable: Through serialization, each package is provided with a unique serial number that can be used to identify it. Ready for dispatch: Individual folding cartons are ready for aggregation. Tamper-evidence solutions are also available. They protect companies from counterfeiting by ensuring that the purchaser is the first one to open a package of medications. This tamper-evidence safety packaging works by means of sealing labels, for example. If a sealing label is broken, the purchaser knows that the package has already been opened and that this might mean the medication is a counterfeit. 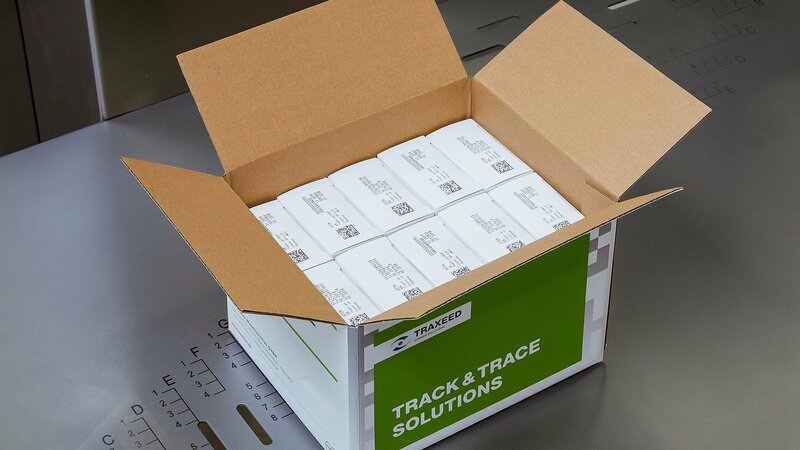 The Track & Trace solutions from Traxeed label each sales unit with a code that includes a serial number. If the company wishes, every sales unit can also be provided with a tamper-evidence sealing label. “In this process, every medication package receives its unique fingerprint,” says Krauss. Every region and country has its own laws governing this process, which suppliers and manufacturers must comply with. For example, individual sales units can be aggregated into the next-largest packaging unit. For this process, Traxeed offers system solutions ranging from Level 1 to Level 5 in conformity with the ISA-95 standard. 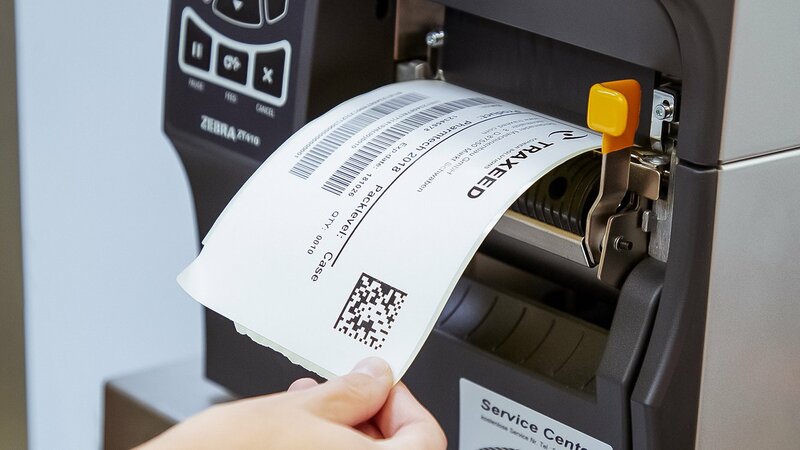 At Level 2, the serialization solution comprises highly sophisticated software as well as machines and workstations that fulfill the legal requirements concerning production and packaging solutions. In addition, at Level 3 different lines can be smoothly managed via a central administration function. 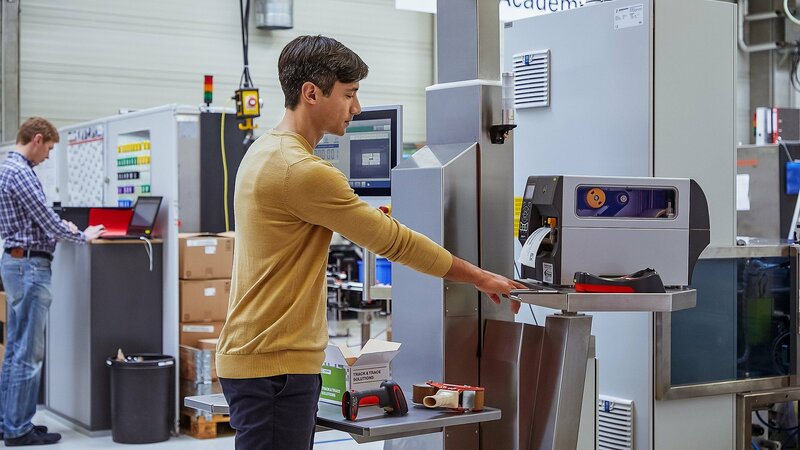 The serial numbers and production data are transmitted via existing interfaces to SAP or to the solutions of Werum, a company, which is also part of this Körber Business Area. From there they are transmitted to Level 4 and Level 5. In this way pharmaceutical companies that use solutions from Traxeed can organize their production processes from Level 1 to Level 5 in conformity with the legal regulations from start to finish.